Also if anyone has the basic bases for keilidhs i’d be interested in those too. Are your tweeters the three point fixing ones, such as here? I have a pair of mint keilidhs and just blew two drivers from the left speaker due to a mistake of plugging the RCA to power amp in remote instead of line out. I had it wired from my unidisc SC to a fully restored and repaired Kinos to my C3200 amplifier in passive mode. The keilidhs have 15/2 tweeters both seem to be working fine. The plan was to sell them once I found a nice pair of ninkas but after blowing the woofers I can’t call them mint anymore. I’ve found replacements for the drivers and was thinking to make them aktiv since I have aktiv cards for my other chakra C5100 amplifier. I removed the damaged (lower)driver to try and see if I can fix that tear and found the driver to be spkr007/2 which surprised me since the Kabers are a very very old pair. Model numbers are 5813/14. Would the (upper)driver be the same model no. The tweeters are d20-lp-2. I really don’t like how shrill these tweeters are. Was thinking of buying a pair of new matched hiquophon ow2-92 as those would be an upgrade for the keilidhs and moving the 15/2 tweeters from the keilidhs to the Kabers. I’d run the keilidhs aktiv on my c5100 and keep the Kabers passive with the 15/2 tweeters on my c3200. Still looking for a replacement driver for the kaber. I removed the Kinos and realized that I prefer the sound with the unidisk as my pre while testing out the Kabers. I heard them on the kinos too but prefer the sound without it. Is that weird? It was also easier using my universal remote so that not both devices (unidisk and kinos) would react to it simultaneously. I haven’t heard the keilidhs in 2 months but find even my c3200 not enough to drive the Kabers passively. Is that a real possibility? Or do I just feel the sound from the Kabers is so different. The Kabers do sound more refined but lack bass and I don’t like the tweeter for some odd reason. I thought my keilidhs has perfect bass 13” from the wall but after hearing the Kabers maybe I mistook loose base for enough bass. If running the keilidhs aktiv what tweeter do you suggest for them? 15/2 or the hiquophons? For the passiv kabers? Do I need a stronger amp? Would the 15/2 tweeters suffice for the Kabers in passiv Mode? Lastly. The Kabers didn’t come with kustone stands but it did have smaller 2 x “U” shaped bases that were really heavy too. Are those enough for the Kabers? Since I do have one pair of kustone stands should I save those for the aktiv keilidhs or for the passive Kabers. All interconnects are Linn black interconnects. I know it’s a long confusing story but with my present situation I feel restoring the Kabers and my keilidhs is better than spending money on used ninkas. Its all a bit hit and miss to be honest Zee [....even if it might also be a lot of fun. The problem is that 100% correctly spec'd drive units for the speakers are no longer available . Yes, various Hiquphon tweeters that are sort of compatible may be sourced...and you can find mid/bass units that fit physically...but the results are variable and often leave the speakers without the musicality that endeared them to folks the first place. [I tried some Hiquphon HF units in my Kabers not so long ago, after I'd allowed a couple of folks to convince this old Luddite that they might be an "upgrade" . Suffice is to say they weren't ...and thank goodness I still had the fully working original units to pop back in. 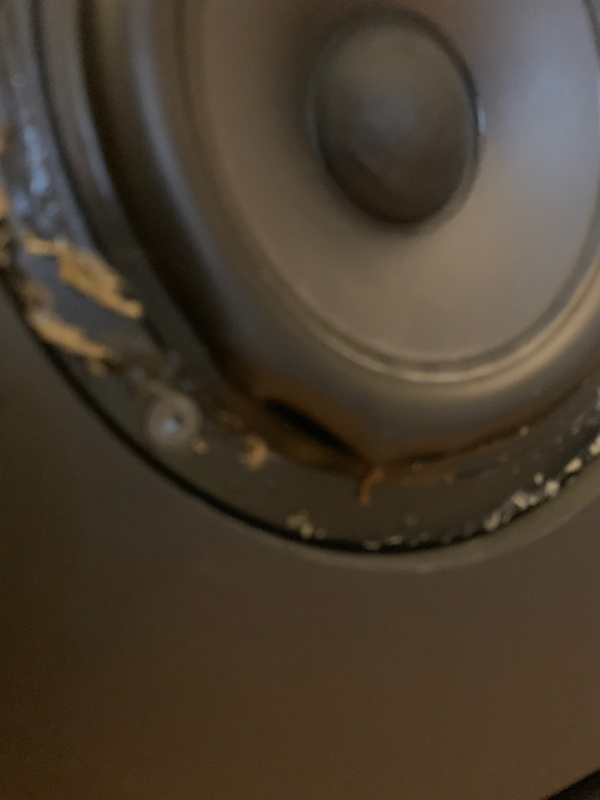 One of the issues when using non standard replacement units in any speaker design is that while the may physically fit and the may have similar measurements they are unlikely to to be exactly the same and the passive crossover may well need some items replaced and changed in order to get the speakers working back to the original model . This of course does not apply to actives but you may well need to adjust the active cards to suit the paramaters of the new drivers in order to get them to sound the same . Whichever you do it is not a simple fit and forget process. Correction... I have at least 2 treble drivers!